Circuito Carioca de Feiras e Eventos are occupying Parque das Figueiras this Friday to Sunday for a weekend of music, food and beer - featuring performances from El Miraculoso Samba Jazz, Art do Acaso, Boca do Rio, Samba Que Elas Querem and Moça Prosa. RIO DE JANEIRO, BRAZIL – Starting this Friday, August 10th at 5PM and running until Sunday, August 12th, Rio’s Lagoa will be hosting a free weekend-long event featuring live jazz, samba and rock music as well as food trucks, food stalls, artesanal chopp (draft) beer, fashion, art and much more. 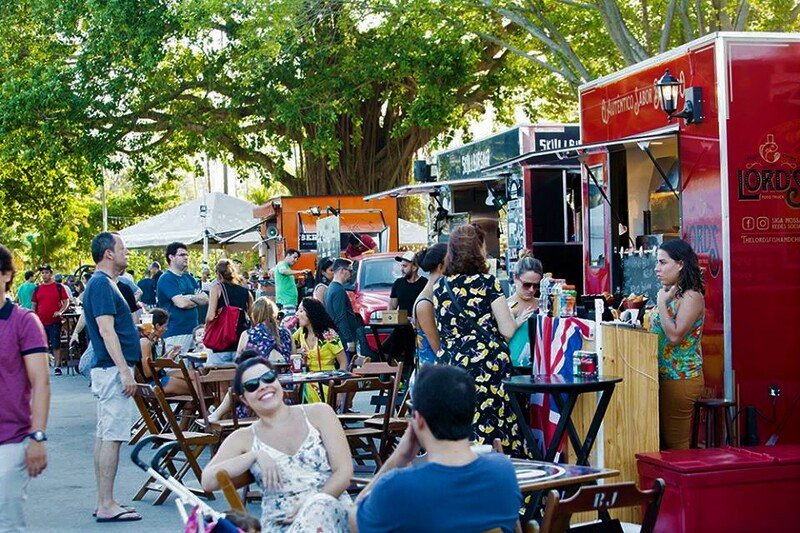 Circuito Carioca de Feiras e Eventos are occupying Parque das Figueiras this Friday to Sunday for a weekend of music, food and beer, photo internet recreation. The event is hosted at Parque das Figueiras in Lagoa by ‘Circuito Carioca de Feiras e Eventos’ (Carioca Circuit of Parties and Events), who are well-known for hosting events combining excellent food, beer and music in some Rio’s most stunning locations, including a similar event held at Praia Vermelha, in Urca, this March. For music-lovers out there, there’s plenty to get excited about. On Friday at 5PM, the weekend will kick off with a performance from Circuito favorites El Miraculoso Samba Jazz. They’re a samba jazz band known for their inventive interpretations of jazz standards and classics from the Brazilian songbook, including Tom Jobin and Vinícius de Moraes, Caetano Veloso, Duke Ellington and Miles Davis. Saturday sees a diverse host of musicians lined up to get the weekend moving for what should be a memorable day of food, fun and festivity. At 1PM, Art do Acaso, hailing from Tijuca, will be serenading the crowd with their unique blend of pagode (a sub-genre of samba originating in Rio) which covers everything from traditional samba to the modern variations heard booming from the ‘bloco’ speakers at Rio’s world-famous Carnival. As the day turns to evening, and with the weather set to offer one of Rio’s incomparably beautiful sunsets, Boca do Rio will provide the soundtrack to the beginning of Saturday night, bringing the day’s events to a close with a concert at 8PM. Originating in 2011 as a tribute to the Brazilian rock legend Raul Seixas, Boca do Rio combine funk, soul and jazz with rock to create a unique sound, interpreting classics by the great names of Brazilian and international rock, including Raul Seixas, The Doors and Pink Floyd. Sunday at 1PM will see the musical style return to a less-amplified, but no less exciting ‘roda da samba’ (samba circle) featuring both Samba Que Elas Querem and Moça Prosa. Featuring an all-female samba circle, Samba Que Elas Querem (roughly translated as ‘Samba that they, the women, want’) are carving out an acclaimed reputation for themselves by promoting women’s representation in music. Both through their presence and through the songs they sing, Samba Que Elas Querem are showing how vital and underrepresented the history of female samba is. In their performances they include renditions of Elza Soares, Tia Surica, Tia Ciata and Dona Ivone among many others. They were recently featured in a celebration of the spirit of samba at Rio’s Museu de Arte (Museum of Art). Originating from the samba circles of Rio’s Pedra do Sal, Moça Prosa are using samba to address issues such as racism, diversity and underrepresentation of women’s contribution to culture, photo internet reproduction. Moça Prosa are another all-female samba circle representing the great women of the Brazilian songbook. 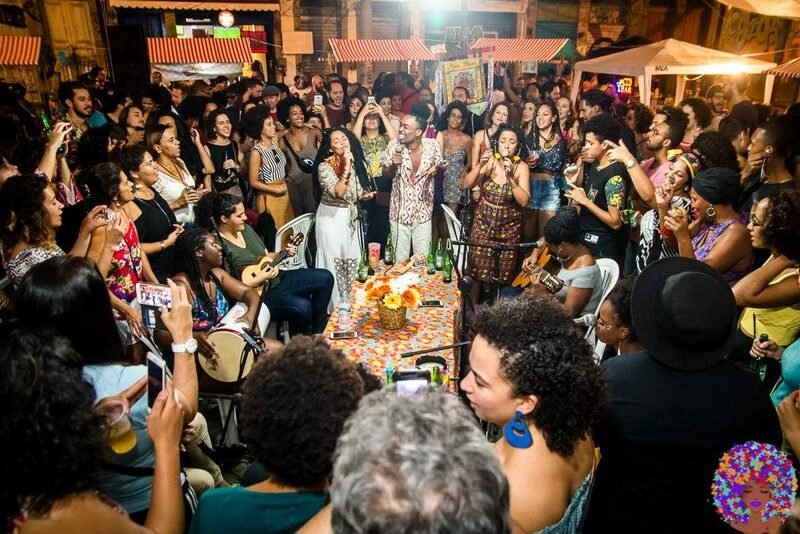 The first all-female samba circle to play at Rio’s famous Pedra do Sal, Moça Prosa will also be singing the great songs from female composers such as Clara Nunes, Beth Carvalho and Jovelina Pérola, in a celebration of female samba past and present. This is set to be a memorable weekend event for those looking to celebrate ‘Dia dos Pais’ (Father’s Day) this Sunday, as those that enjoy events like the annual Lagoa Bier Fest.